﻿ Celades: "Cristiano Ronaldo will be more decisive than Messi"
14.08.2011 » Celades: "Cristiano Ronaldo will be more decisive than Messi"
The former midfielder from Barcelona and Real Madrid, Albert Celades, made a quick preview on the next two "El Clasicos" coming ahead in the next days. The Andorran player doesn't see much of a difference between Real Madrid and Barcelona at this point, but believes that Cristiano Ronaldo will be more dangerous than Lionel Messi. There aren't many players in History that have had the privilege to play for both Barcelona and Real Madrid during their short careers as footballers. The Brazilian Ronaldo, Laudrup, Hagi, Milla, Schuster, Alfonso Pérez or Luís Figo are a few examples of players who made it. Celades who comes from Barcelona's cantera "La Masia", had a very sucesfull career in Spain and looks ahead to the "El Clasico" from tonight, saying that Cristiano Ronaldo will probably be more determinant than Lionel Messi in the oucome of this final. Celades: "I hope we can watch two very entertaining matches and with plenty of offensive plays for the fans to be happy with. However, I think the game will be very balanced, even though Real Madrid is probably a bit better than Barcelona at this stage of the season, since they had the chance to prepare better for this game. I wouldn't risk a forecast though. These are the kind of games that can be decided by details and by moments of inspiration from players like Cristiano Ronaldo or Lionel Messi." Precisely the point when the Andorran player was asked to comment on who could be the more decisive player in Real Madrid vs Barcelona. Celades: "According to what I saw in the last weeks, Real Madrid had some really good challenges and performances. 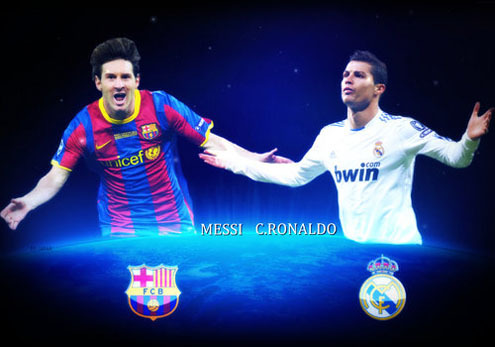 Cristiano Ronaldo is on a really good shape and in my opinion, he'll be more important than Messi in these matches." However, Celades leaves a warning note for Real Madrid players: "Messi may not be at 100% yet, but he still has the quality to do some damage...".